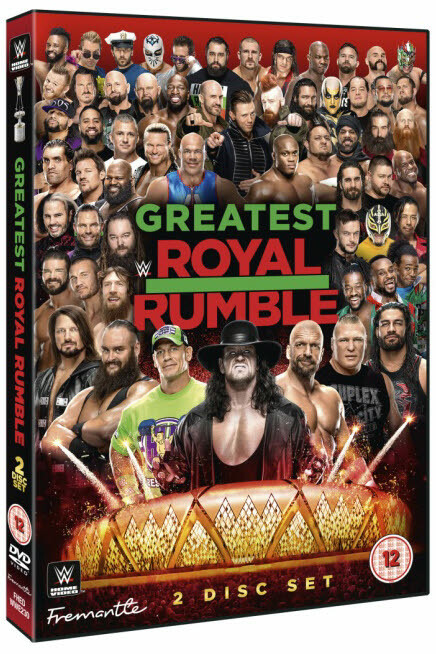 In the biggest Royal Rumble in WWE history, 50 Superstars compete in an over-the-top-rope free-for-all, where the winner receives the prestigious Greatest Royal Rumble championship and trophy. Locked inside a steel cage, Roman Reigns looks to get redemption when he tangles with Brock Lesnar for the Universal Championship. For the first time since 2010, John Cena does battle with Triple H. And Rusev tries to avoid being put to rest when he faces the returning Undertaker in a Casket Match! Plus, more! Anything can happen at the Greatest Royal Rumble!